This year I’ve decided on the 16 Desires outlined in Steven Reiss’ book: Who Am I? Since the idea is that we all have all 16 but some are more emphasized than others, it seems good to honour the ones that come naturally to me, like curiosity and social contact, while tending a bit more to the ones I need a reminder about, like tranquility and order. It will be an interesting model to examine in any event. The friend who introduced me to this work just recently saw that he has a new book out called 16 Strivings for God. Here Reiss develops the theory that people embrace religion because it provides them with opportunities to satisfy all 16 basic desires both in strong form and in weak form. Freecell is *not* one of the F’s in the 5-F goal-setting plan. I make new year’s resolutions. It helps me to review where I’m spending my time and energy and adjust things. I’ve never resolved to lose 10 pounds or work out in a gym. Although maybe I should! I’ve had a goal buddy for almost a full year — a result of thinking about how to achieve the resolutions I made last year. We talk every Monday morning for 2-10 minutes, review what we said we’d do and set new weekly goals. It’s a good thing. So one of my goals for the coming week is to make a year’s worth of goals/resolutions. My goal buddy has a system with various categories of resolutions and goals, and I thought I should do the same. So here are some of the things I’ve found on the web, in case you might be interested too. I think it’s good to have a mnemonic to keep on track. I have to remind myself that my bad habit of having a few games of Freecell whenever the computer is open is not a sixth F! This came with no explanation other than “explore the honesty circle”, so I guess it’s an evaluative method, but seemed it was a nice mandala approach to goals. THE environment – what can one person do? FRIENDS – I am blessed and pledge to nurture my friendships. 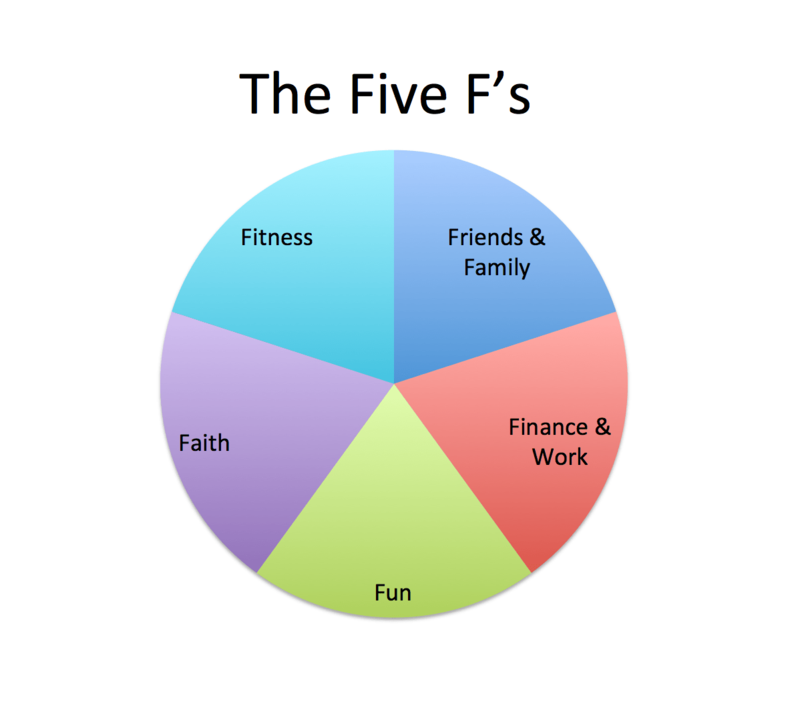 Posted in Words + Ideas | Comments Off on Freecell is *not* one of the F’s in the 5-F goal-setting plan.